In this post we will see simple approach to recognize Arabic Numbers Handwriting.. This code is part of interactive calculator where we use speech and handwriting as input for the calculator. 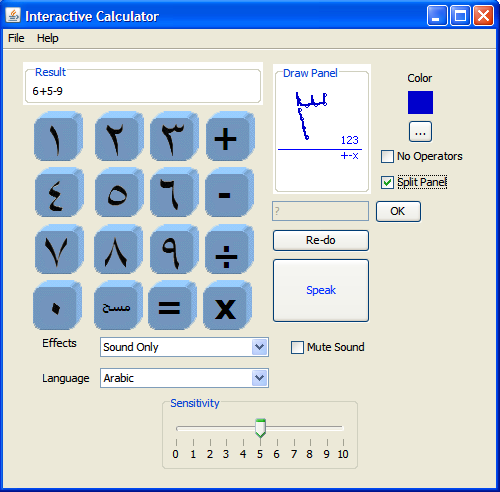 This open source calculator uses Hand writing (Arabic/English) , Buttons , and Voice recognition (Arabic/English). 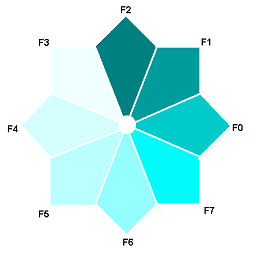 It uses HTK for recognition (open source and license included within). //drawing color is identified by jLabel4 background. //draw split pannel to separate numbers from operations , it is used also to separate letters from numbers, capital from small letters. // no movement for 10 times call of run method each wait for 100 milliseconds, so total is 1 seconds of idle movement.. Removing extra information which are oblique lines connecting vertical vs horizontal lines. 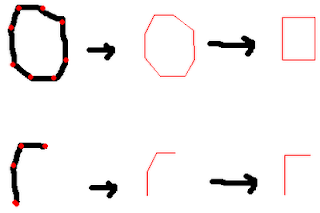 We will use K-Nearest Neighbor KNN for that because we need simple classifier. The methodology is to capture directions without wights and remove extra information but not all directions are captured only significant directions, also the above picture show how different shapes with different scaling are translated to the same directions, this is simple and accurate methodology when we deal with unique shapes (need some concerns to deal with Arabic handwriting). I'm not using it in writing recognition it is used in voice recognition. thnx for ur reply, was wondering where you were using dat, but now i get t. but still struggling to figure out the freeman's method dat u are using... but any-who... thnx m8.